If you are a fellow wine lover…like myself…then this is a great way to cut cost for a wedding or formal dinner party! 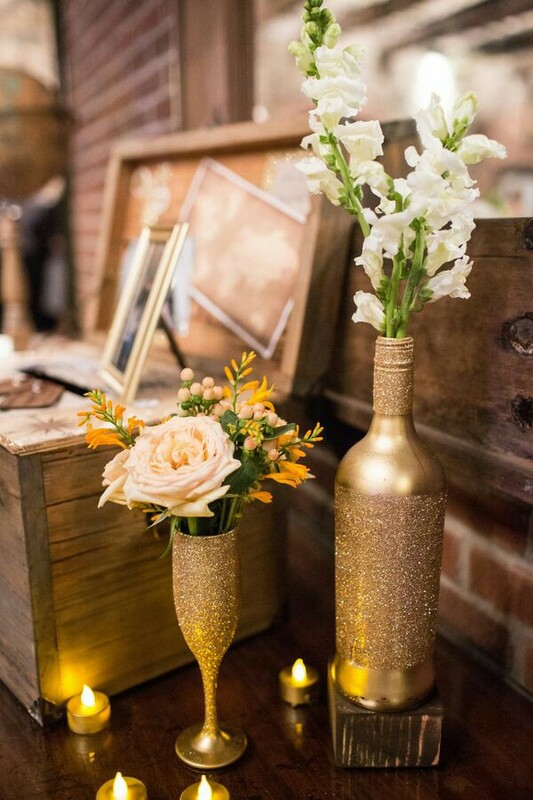 Here are a few images of how to put left over wine bottles to use adding a unique and trendy look for your event. Seating chart: Say good bye to the traditional tented place cards neatly aligned on a table. Hello to an updated twist to a seating chart. Table numbers: Instead of having paper tables numbers in little holders, you can purchase this printout from Etsy and place on your favorite white or red bottle of wine. 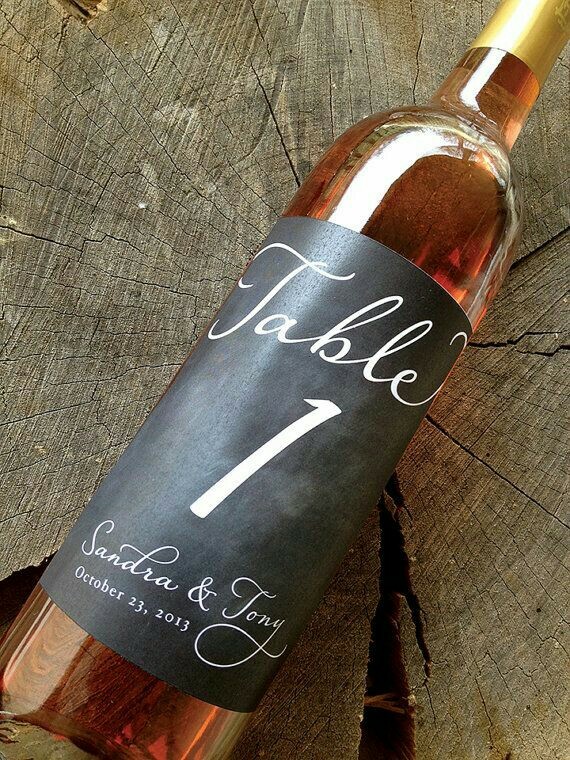 Not only can it be used as a table number, it can also be served during dinner….why not put the wine to good use! Centerpiece: This is a perfect way to reuse empty wine bottles. Ask various family members to save empty champagne or wine bottles for a set amount of months. This way you can ensure you have enough to achieve the look you are going for. Purchase a few cans of paint from Michael’s…and you are all set. Guest book: Traditional guest books are not as popular as they once were. Many couples are opting for guests to sign a photo book, canvases, stones, or even Jenna pieces. This is another unique idea that can be added to the list as well. 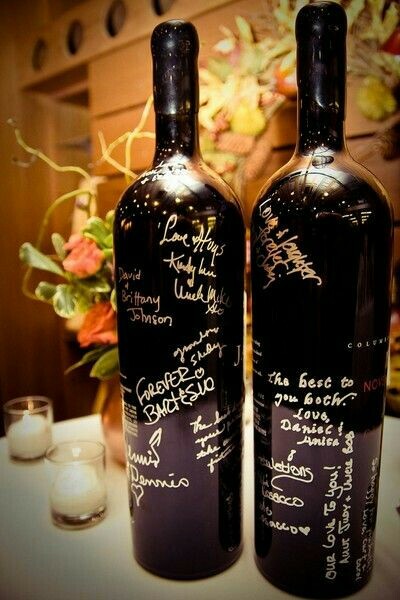 Choose your favorite wine, have guests sign them as they enter, and wait for your year anniversary to pop it open. The bottle can be kept as a keepsake. 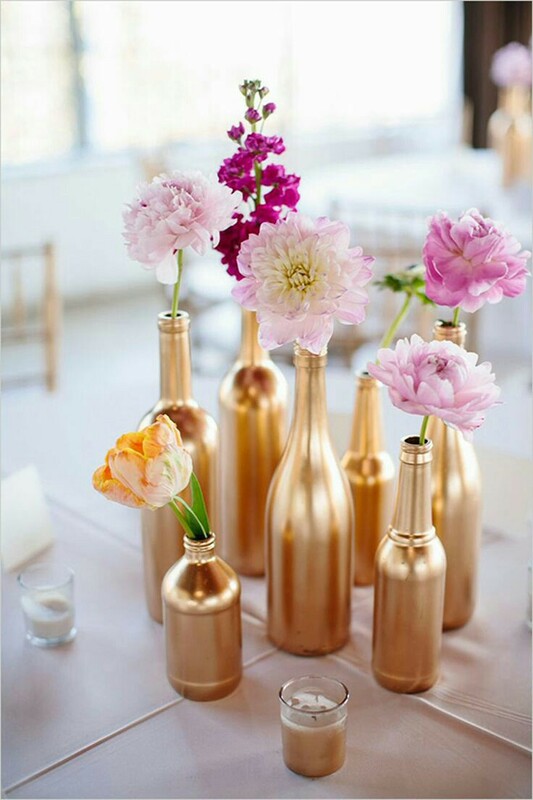 Table accents: Add a few coats of paint, a little sparkle…and you have the perfect accent to jazz up any table at your next event. 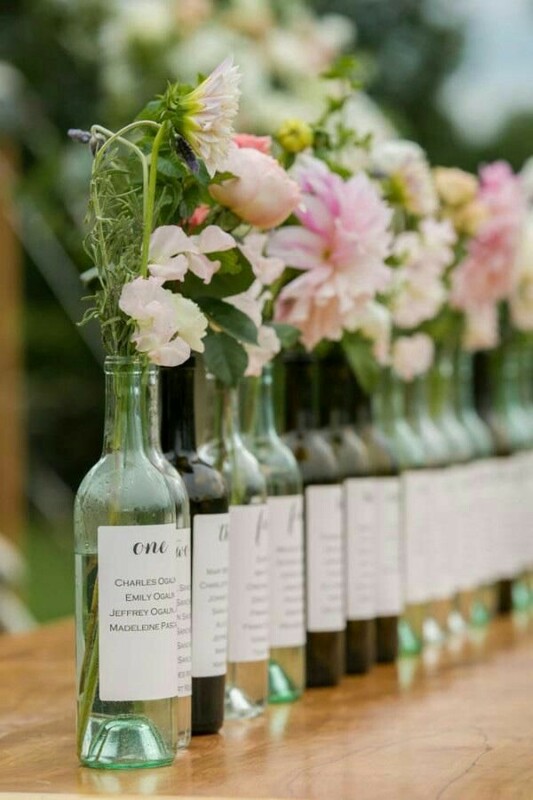 Posted in DIY, Wedding IdeasTagged #eventstm #taylormadeeventsllc #seatingcharts #tablenumbers #uniqueweddingideas #reusewinebottlesBookmark the permalink. Romantic table settings for a Valentines party!